João Barros is Founder and CEO of Veniam. He was Founding Director of Instituto de Telecomunicações in Porto, which grew from 8 to 100 researchers during his six-year tenure. Between 2009 and 2012, he was National Director of the Carnegie Mellon Portugal Program, a five-year international partnership funded by the Portuguese Foundation of Science and Technology, with a total budget of US$77M. Whether it’s your life or your business you manage more through your smartphone—in your car, on a plane, or out on a run—seemingly everything today has gone mobile. It’s a trend that’s been evolving for nearly two decades, as everyone and everything has unplugged and hit the road. Despite the incredible change that’s come with the mobile technology revolution and near-universal connectivity via the Internet of Things, what hasn’t changed much at all is the enabling technology we rely on 24/7. Downloads may be faster and coverage may be a little better when we’re on the go, but the core technologies– a patchwork of Wi-Fi and cellular networks – are still very much the same. Today’s mobile Internet, and the infrastructure that powers it, is sorely underpowered against rapidly increasing demands. The good news? A far more powerful infrastructure is starting to emerge, and its implications go far beyond getting an extra bar of signal strength or a few more bytes of bandwidth when you’re on the way to the office. Today’s familiar mobile Internet model is on the decline. Bandwidth may be on the rise, but our consumption of that bandwidth is rising much more quickly, to the point where seemingly no one is satisfied with the mobile experience. Compounding the problem is that bandwidth is being eaten up not just by people checking Facebook while waiting for a taxi or a bus, it’s being used by those very vehicles themselves, in the form of telematics, vehicle guidance and traffic avoidance services, mobile advertising screens, and onboard data networks for passengers, all of which chew up even more of the available bandwidth. When autonomous vehicles—which can demand up to four terabytes of data each day—hit the road en masse, this bandwidth consumption and competition will jump dramatically. All of that begs the question: If users are mobile, why is the network itself stationary? It’s time to break the current mobile internet model and develop an infrastructure that will work for the future. At Veniam, we call this the Internet of Moving Things. Just as our current iteration of the mobile Internet is fading away, so are our current modes of transportation. Personal vehicles will soon begin to decline in prominence. In their place over the next decade and beyond, a new world of enhanced public transportation, shared vehicles, and self-driving cars will take over. This is actually the start of the third mobility revolution. The first began some 2000 years ago, when horses were domesticated. Then came the automobile in the late 1800s. Now autonomous vehicles are poised to reinvent the way we get around, perhaps in a more dramatic fashion than either of the first two revolutions. And just like horses and cars profoundly changed the way our cities are designed, the autonomous revolution will do likewise. The autonomous revolution will go far beyond simply making roads less congested and turning parking spots into green spaces – because driverless cars will be much more than merely a transportation solution. By converting autonomous vehicles into rolling wireless networks, we can lay the groundwork for a new type of infrastructure which can enable a vast array of new services and capabilities. Veniam making the first move! We’re at the very beginning of this evolution, of course. Veniam’s supporting role revolves around its ability to move large amounts of mobile data to and from the cloud. 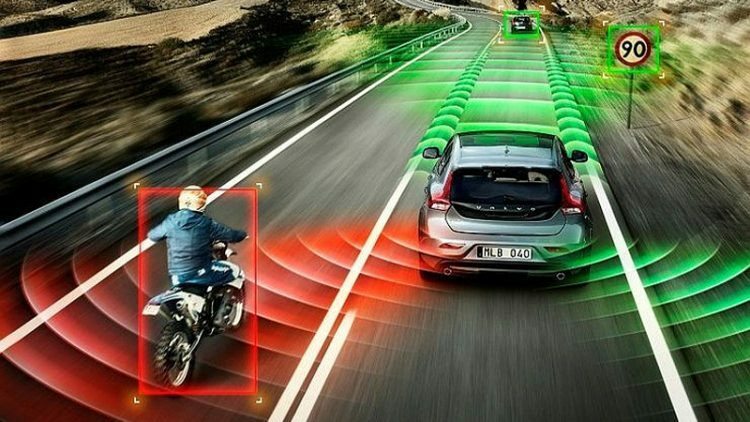 Ultimately it will help connect thousands—and eventually millions—of autonomous vehicles to each other, as well connect them to the end users of wireless data. We’ve already begun implementing this system to prove how well it can work. We don’t even need autonomous vehicles to get started. In Porto, Portugal, Veniam has built the world’s largest mesh network, outfitting hundreds of taxis, waste collection trucks, and the entire municipal bus fleet with our equipment in order to provide wireless access to 500,000 active customers. In Singapore, we overcame a different set of challenges – dense vegetation and uneven terrain that brings most Wi-Fi to its knees – to build the first vehicle mesh network in Asia. The network delivers internet to the riders of a shuttle service at the National University of Singapore, but also collects data to better inform the future planning and design of the university and the nation itself. The same approach is playing out in New York where we built a mesh network of connected vehicles in downtown Manhattan. Thousands of New York commuters get free Wi-Fi, and over time the group behind the project will have the data to better understand how to serve the people and businesses in its neighborhood. The beauty of mesh networks is the more they are used, the more they grow, not only do they get more robust, we can learn more. Today, Veniam has more than 600,000 unique Wi-Fi users, 8.1 million internet sessions, and more than 30M kilometers (more than 18 million miles) of connected vehicle data. Once we add autonomous vehicles to the mix, the size and value of the network will only increase. Metcalfe’s Law suggests that the value of a traditional network increases exponentially as you add each node – but what happens when those nodes are mobile and can move from place to place, each serving multiple end users? Veniam’s mesh-based networking solution isn’t just a way for people to check Facebook and hunt for Pokemon on their morning commute, it’s also a way to keep the machines themselves connected to the cloud. Serving the increasingly heavy communications needs of autonomous vehicles and the passengers who would otherwise be driving them is not going to be an easy task, and to avoid overloading networks with those multiple terabytes of data being generated, we’ll need smarter solutions like Veniam’s. But that’s just the tip of the iceberg. Beyond vehicles and drivers, one of our bigger goals is to build the foundation for true smart cities. What is a smart city? At its heart, it’s an urban center where information and communication technologies are built into everything. A smart city will use data to intelligently manage the way power is generated and distributed. It will be able to measure the quality of the air and water supply in real time. And of course it will offer a blanket of communication offerings to its citizens. Smart cities improve the quality of life for everyone who lives there, all driven by the power of data. In Veniam’s model, roving autonomous vehicles are the catalysts for the collection of this data. Vehicles turn into movable weather stations and air quality monitors, transmitting constant updates back to the cloud. Their cameras can be utilized for crime detection and prevention. In the event of a natural disaster or a power failure, vehicles can be re-routed to trouble spots immediately. And if equipment fails, they can be called in for service instead of having to send a technician out to climb a utility pole, making the network much more reliable. None of this would be possible with traditional, terrestrial networking equipment. Naturally, this model is built with commerce in mind, as advertising and information can be delivered to passengers in autonomous vehicles on the fly, tailored to that specific user, based on his destination, the number of people in the car, or even the ambient temperature outside. Marketers will be able to leverage data about the physical environment in ways that have never been possible before, which could usher in a new era of personalization. That said, who will own and manage all of this data remains an open question. Years from now, cities will begin to be reshaped around the possibilities opened up by the Internet of Moving Things. The city boundaries will begin to blur, defined not by a street address but by how far autonomous vehicles can explore. Where you live and where you work will become fluid concepts. The idea of searching for wireless service will die. The network will follow you, and the network will be everywhere. We can easily envision a future where the mesh network encompasses waterborne ships, drones, airplanes, and even equipment orbiting the earth in space. It turns out that when it comes to the Internet of Moving Things, even the sky isn’t the limit.